When you’ve been harmed due to someone else’s negligence or misconduct, you may feel helpless. You may have questions on how you can afford to pay your bills, take more time off from work to recover, or even cope with how your injuries will impact you in the future. It can be a very stressful and overwhelming time. However, the good news is that you are not alone. Our Jackson personal injury attorneys can review your case in a free evaluation today. Malouf & Malouf, P.L.L.C. are personal injury lawyers in Jackson, Mississippi who can estimate the value of your claim and fight to help you seek the damages you may deserve under the law. You may be entitled to seek money to cover your medical costs, lost wages, and pain and suffering. If you or a loved one was hurt due to a slip and fall, car accident, pedestrian accident, workplace accident, medical malpractice, or other injuries due to another person’s neglect or negligence, you may have certain rights under the law. Contact our firm today to learn more. We can estimate the value of your claim. Having a qualified personal injury lawyer estimate the value of your claim can help you understand what recovery you may be entitled to receive from insurance adjusters and negligent parties. The Law Offices of Malouf & Malouf, P.L.L.C. can use special formulas to estimate your pain and suffering damages. We can also speak to experts to estimate the cost of your future lost wages and medical expenses. All of these figures should be considered when estimating the value of your claim. We can speak to insurance adjusters. Insurance adjusters may want to protect their company’s bottom lines. In order to do this, they may offer you a lower settlement than you may deserve. In order to protect your rights, consider speaking to the Law Offices of Malouf & Malouf, P.L.L.C. in Jackson, MS. We understand how insurance claims works and can provide insurers with the evidence they need to help you get the best possible settlement permitted under the law. We can fight for your rights inside or outside of court. We can write demand letters to negligent parties to help you seek the damages you may deserve under the law. We can also pursue negligent parties in court, if necessary. If you or a loved one was hurt due to the negligent actions of another person or company, you may only have a limited amount of time to make a claim under the law. While many cases can be settled outside of court, you want a lawyer who isn’t afraid to fight for your rights. Car accidents can involve many stakeholders, from negligent parties to insurers. A qualified personal injury lawyer can help you navigate the claims process. Medical malpractice claims may involve a complex process that includes an independent review of your claims. Doctors may not always be willing to admit they make a mistake. The Law Offices of Malouf & Malouf, P.L.L.C. 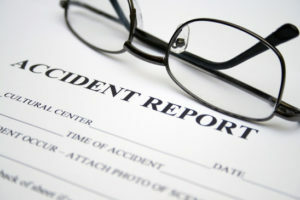 are personal injury lawyers who can help you navigate this sometimes complex claims process. Defective products claims may require a close evaluation of a product’s intended use and instructions. Sometimes products are not properly labeled and this can lead to injury. Additionally, property owners have a responsibility to maintain safe premises. When floors are covered with debris, moisture, or other hazards, individuals can get hurt. Nursing homes and hospitals may have a greater obligation to their patients and residents. Similarly, employers have a responsibility to provide workers with proper training and safety equipment. Failure to do so can result in accidents. While worker’s compensation insurance can cover most workplace injuries, sometimes victims may face unfair denials or may struggle to get their employer to make a claim. If you are facing difficulty with a worker’s compensation claim, the Law Offices of Malouf & Malouf, P.L.L.C. may be able to help. After an accident, your primary focus should always be on healing. However, when bills pile up, getting the care and support you need to properly recover can be extremely challenging. On top of that, if your insurance acts in bad faith, you may have to take further legal steps to get the compensation you need following a serious accident. With the help of an experienced Jackson injury lawyer like the Law Offices of Malouf & Malouf, P.L.L.C ., you can tackle your injury claim with peace of mind. When you retain our legal services, we lead you through the complex claims or trial process in an efficient and effective manner. Whether you are overwhelmed by the costs of medical bills or if you have suffered from lost income due to time taken off work, our firm is here to help. Since 1970, we have helped clients throughout Mississippi get compensation for their injuries. Do not hesitate to contact us online to discuss your case!